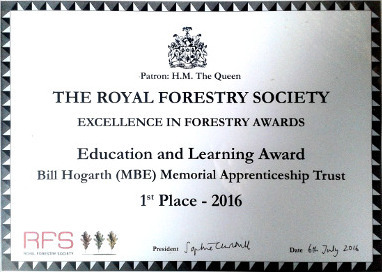 Our Purpose is to ensure that the coppicing skills of Bill Hogarth MBE are recognised for their full worth and their continuity secured through a broad-based apprenticeship. BHMAT is always interested in finding new sponsors. If you are involved in the coppice industry and would like to talk to someone about becoming a sponsor, or would like to become more involved with the Trust, please get in touch using the contact page. Woodland Pioneers - what's that then? 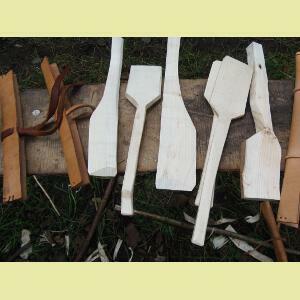 Woodland pioneers is one of the most popular coppicing and greenwood working courses in the UK. People travel from all over to be in the beautiful woodlands of South Lakeland and to learn from the professionals. We're very sorry to announce the death of local legend Walter Lloyd. He was a good friend of Bill Hogarth's and was involved with setting up BHMAT right from the start. He's been an inspiration to many, always ready to share his vast knowledge and wonderful stories. He will be very much missed by a huge number of people. We send thoughts and love to his family. 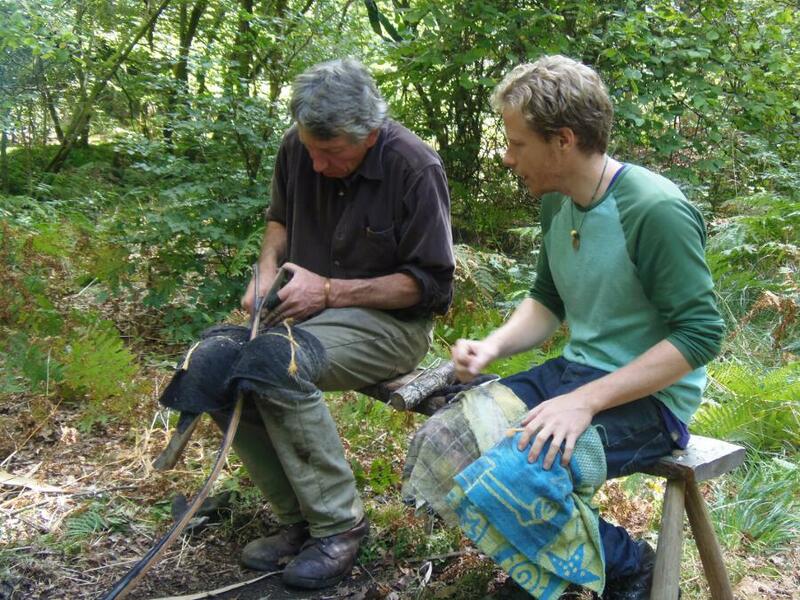 Below is a video filmed in 2016 of Walter demonstrating natural rope making at our Woodland Pioneers course. WOODLAND PIONEERS from CHRIS MAUDSLEY on Vimeo. In 2016 we were very lucky to have award winning videographer Chris Maudsley filming Woodland Pioneers. Watch his beautiful film below which has been shortlisted for a Canon-sponsored video competition, entitled "World Wood Day" and will be screened at Long Beach, Los Angeles, in March 2017. We think it's wonderful and wish him all the best! Download a copy of the November 2017 Newsletter now! See previous publications on the news page. RFS - Excellence in Forestry Award - 1st Place!! This year (2016) BHMAT was awarded 1st place by the Royal Forestry Society for their Excellence in Forestry Award. A well-deserved acalaid for such a hard working group of people. In May 2016 BHMAT appointed two coppice apprentices to be based in the Rusland Valley. 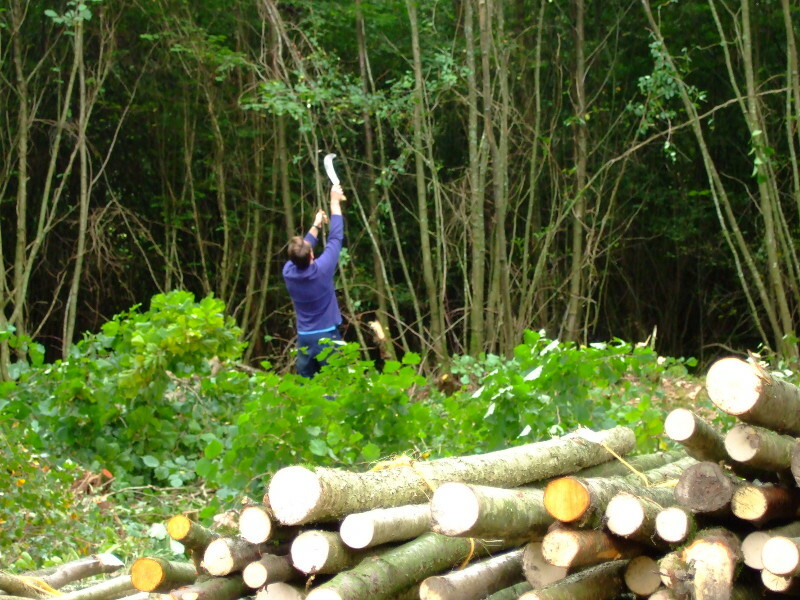 These are three year placements where trainees will set up their own coppicing business in their final year. Not to be confused with the Rusland Horizons Apprenticeship Opportunities - see opposite. Rusland Horizons will recruit six apprentices to start in September 2016. The apprentices will work towards a level 2 Work-Based Diploma in Environmental Conservation. The apprenticeships will last 18 months, and the end of this time two of the apprentices will have the opportunity to go on to achieve a level 3 Work-Based Diploma. Four new apprentices will be recruited to start in September 2017. The apprentices will work four to five days a week in the scheme area (see map). They will carry out the practical work needed to help conserve the historic landscape and its features. The apprentices will be supervised by the Rusland Horizons Skills & Training Coordinator. From time to time, they will work with National Park Rangers and other partners to learn specific skills. During term time, the apprentices will spend one day a week at Newton Rigg College, Penrith. They will need to prepare a portfolio to evidence the skills that they are learning, and demonstrate these skills to an assessor to gain their qualification. Salaries will be in line with national minimum wage. The cost of college fees and training certificates, worth at least £2500 per apprentice, will be covered by the programme. The scheme is a three year Diploma course. BHMAT takes on two or three apprentices each year. 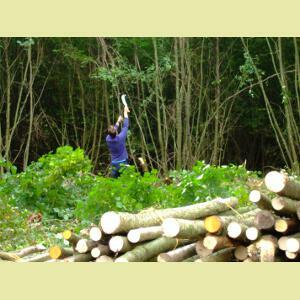 The apprentices are based with a coppice business and receive specialist training in all aspects of the coppice industry. Each apprentice receives a small bursary of £3000 pa plus they can receive recompense for work within their placement. Assessment is based on practical skills and a percentage of written coursework. Successful apprentices are awarded the Bill Hogarth Coppice Diploma and are fully equipped at the end of three years to set up their own coppice business. 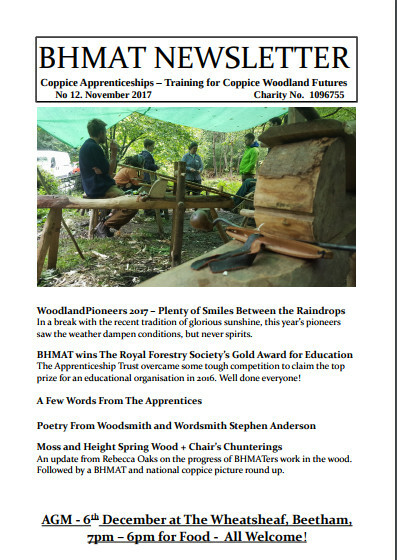 To be eligible to apply to either the BHMAT scheme (specific to the North of England) or the National Coppice Apprenticeship Scheme (NCAS) run through the Green Wood Centre (also based on the BHMAT model but now running nationally) applicants must have attended a Woodland Pioneers week course with either BHMAT (see above) or NCAS. Massive Success with our Crowd Funding Project! A huge THANK YOU to all our kind donators! With help from your kind donations we've been able to appoint new apprentices in 2014 and 2015. We now have 4 - see the updated 'people' page for introductions! 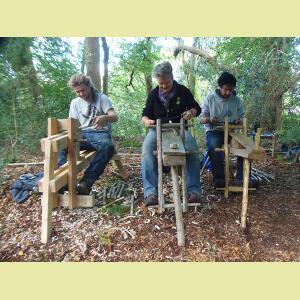 We're also planning to appoint 2 new apprentices after this year's Woodland Pioneers - for the Rusland valley - so spread the word and get anyone interested to book on! 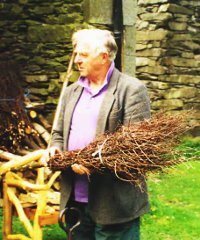 The book Bill was writing when he died in 1999, edited by Alan Shepley and published by Wood Education Programme Trust, is available from BHMAT for £6.50 (P&P: £1.50 within UK mainland, £3 for elsewhere). 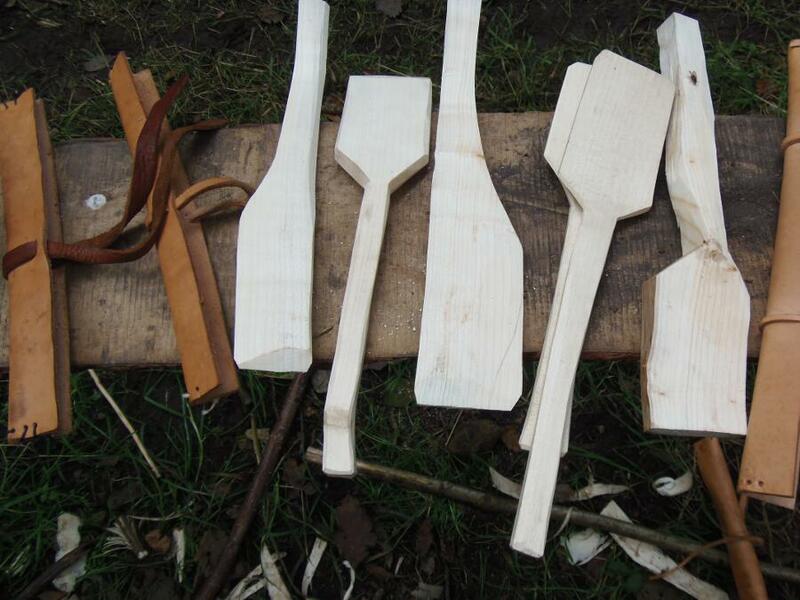 All profits will be shared equally between BHMAT and the Wood Education Programme Trust. Contact details are here. 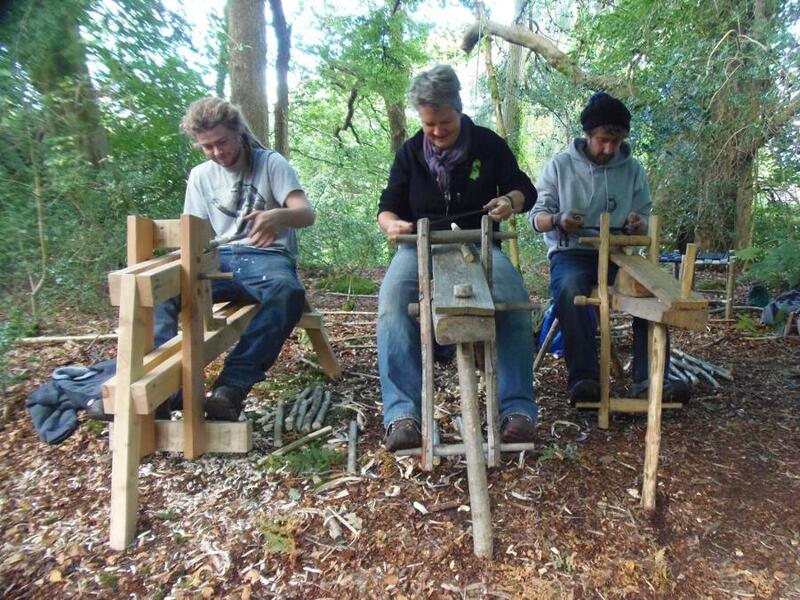 BHMAT is always looking for grants and donations to fund our apprentices and the Woodland Pioneers week. Please contact us if you think you may be able to help or know someone that can.